Those goggles are perfectly correct as Service Goggle Mark 8. I got my pair from clothing stores. The Halcyon motorcycle goggle (which is what stores dished out) is based on the design of the RAF goggle, not the other way around. The detailed design of the frame on the one you have makes it clear that they are earlier than the Halcyon goggles that were being issued in the early 1990s. 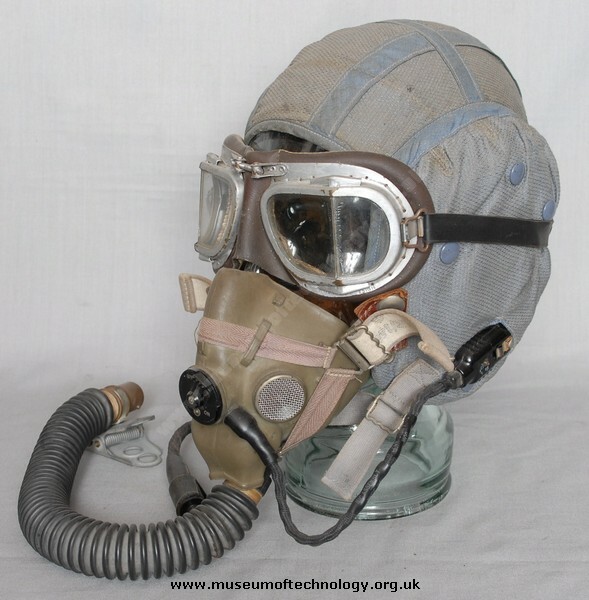 the type H mask replaced the G type mask. The E type mask was a flawed design and suffered from freezing issues so was not long in service. The goggles displayed are motorcycle goggles and are not service issue.